← The Signs of Simpler Times! Our ANGEL of ALTRUISM- What Will Become of Us Without THE OPRAH EFFECT? 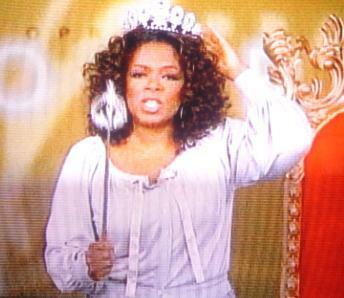 Like millions of others, I have dreamt, for what seems to be a lifetime, of being on Oprah as a measure of my success. Others have even told me for years that maybe I will make it onto Oprah one day because American society has a success model for those who are authors, or for those who serve others; it is The Oprah Effect. We all know that if you make it onto Oprah, because of her powerful influence, not only will your business boom, if your passion project makes it into Oprah Winfrey’s “Book of Worthiness”, this project serving others is also destined to be a financial success! In the event you haven’t realized it yet, this tried and true paradigm of success in “American Altruism” is about to evaporate into the ethos of television history. It started in the back of my mind many years ago when I was a high school teacher for at-risk youth. I observed what the lack of recreational opportunities and creative expression was doing to the moral of my skateboarding students. These high-creative students were more inclined towards skateboarding than football. They also needed proper outlets to prevent them from becoming criminals which had become the end result for many kids after years of criminalizing their skateboarding activity. They needed a legal place to skateboard in a county where skateboarding was illegal everywhere! Isn’t this one of the biggest problems in our society? We criminalize normal behavior and continually pare down the opportunities for healthy physical and creative expression and then we wonder why we end up with so many delinquents! For myself, the writing was on the skate scuffed wall. This project needed money and support to manifest. Others had failed, but that didn’t discourage me, even though ours was about the 6th effort in 20 years to build a skateboard park. I soon became the fire under the project, taking it on as my baby and volunteering 20-60 hrs./week. I engaged every segment of our county and enlisted the help of hundreds of local children and teens. We raised money and support through numerous fundraisers. Yet after five long years, I admit I secretly dreamed of getting some press by Oprah to just make this skate park manifest with a wave of her golden wand. I was suffering from burnt-out and the kids were becoming cynical that it would never happen. Since I had been married to the project for about five years, I also wanted my personal life back so I could have a chance at a decent relationship some day, but I wouldn’t rest until the park was a reality. Then, one day I got a phone call. The call came on an afternoon following a long and exhausting fundraising weekend. I was worn-out. The phone rang. The person on the other end was not familiar. She was a soft-spoken woman who began asking me questions about the project. She said she was from the Oprah Winfrey Show. I became a little excited and evidently more open than I should have been. I talked about the predicament our children were in and casually slipped in that I was tired. She immediately told me not to share that with anyone who may contact me in the future. Oops! As the weeks rolled by with no follow-up phone call, I regretted those words over and over again. Did I ruin my chances to get this park built with one untimely statement? Nope, no way could this stop me. I pulled myself out of what was a martyr mentality at the time and plodded ahead. I don’t think I ever told anyone what had been said to put this woman off. After all of our work, I was ashamed that “whining” may have sabotaged our success. Later that year, luckily I did receive the national Daily Point of Light Award for my volunteer work on the project. This national recognition by a very clever mentor miraculously created a higher level of credibility with our local businesses and civic leaders. It became the “tipping point” that brought out the forces to fund and construct the project. Just at the right time the project was blessed with a construction savvy replacement for me. Chris Drainville would complete the project with her numerous contractor connections. Finally, with construction on its way, I left our little town to reconnect with my daughters who lived about 3 hours away, and to seek out a life partner. No, we did not have The Oprah Effect to finish this skate park project, but we did need national recognition to encourage forward motion. Recognition creates validation which goes on to change the attitudes of the naysayers, which then creates more support. It is this positive domino effect that all non-profits or worthy service projects desire. Volunteers gain energy from the passion behind their causes and then they find sustenance to endure the challenges ahead when others jump on board to either recognize or help their efforts, much like the power of cheerleading. 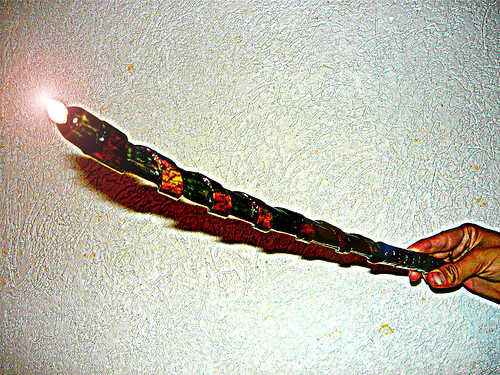 Meaning beyond self and the support to carry them out are necessary components when material gain is not a motivation. Now, it has been about 7 years since all of that transpired. I have had numerous lifetimes of experiences since then, especially in my work with children and teenagers. However, no matter what my future holds, the Grass Valley Skate Park will always be one of the most fulfilling accomplishments of my life beyond my own three children. The lifelong friendships I made, the incredible young people I worked with, and the hope these disenfranchised kids got from seeing this project completed because of the hard work and vision of an entire community are all priceless memories. 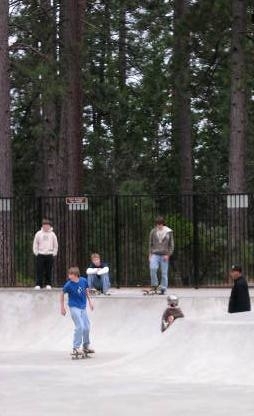 Every time I return to Grass Valley, I drive up to the park and silently watch skateboarders of all ages and their parents. I feel a sense of relief that the smaller ones will not have to endure the fate of their predecessors, who were plagued by police and tickets and negativity for skateboarding. With all of that behind me, I have a confession. In coming out with my first book about the necessary pieces that are missing from our children’s lives today, such as those I just mentioned, I have ALWAYS envisioned being on The Oprah Show to promote this current project of my own. Her golden wand could help bring this vital information into the hands of millions of adults; especially people who don’t generally read parenting books like grandparents and caregivers. I believe that engaging the other significant adults in a child’s life is also an important part of any deep and lasting solution to raise the quality of life for our children. My mission is to acquire regular donations for this book to pass it on to low-income parenting programs and to bring its preventative information into prisons for fathers and mothers preparing for re-entry into society. Eventually, when it is translated into Spanish, it will be accessible to immigrant communities in the US and Latin American Countries, to help pre-empt the harmful effects of cultural choices that are afflicting American children. I wrote this book with this mission in mind, to do more beyond Nevada County to positively affect the lives of our children. I wrote it to dispel the myths around raising and caring for children that are promoting a host of very preventable problems. So, what am I to do without The Oprah Effect? This current book project speaks specifically to the altruistic at heart. Even my aspirations to be on the cover of The New York Times Book Review someday will not necessarily reach the people I want to reach like The Oprah Show will. The Oprah Effect has evolved into the success milestone for the service-based community. It gives us the ability to promote our causes, garner support, and spread our missions beyond our own city borders. Of course, as in this skateboard park story, there are other means, but what I am concerned about is who will fill the void for so many of us who dream of, visualize, and benefit from The Oprah Effect? (Even if it is just as likely as winning the lottery.) I suppose I still have a year to fulfill my own dream of being blessed by Oprah’s golden wand, but I will not hold my breath. I will plod along as I did before with or without her blessings. Others will also do the same. However, we as a society DO need someone, somewhere to replace this magical golden wand: Oprah Winfrey, Our Angel of Altruism. We need another entity that reminds the American public on a regular basis that serving others is important, gratifying work and that funding worthy causes is the best use of our money when we are looking towards solutions. 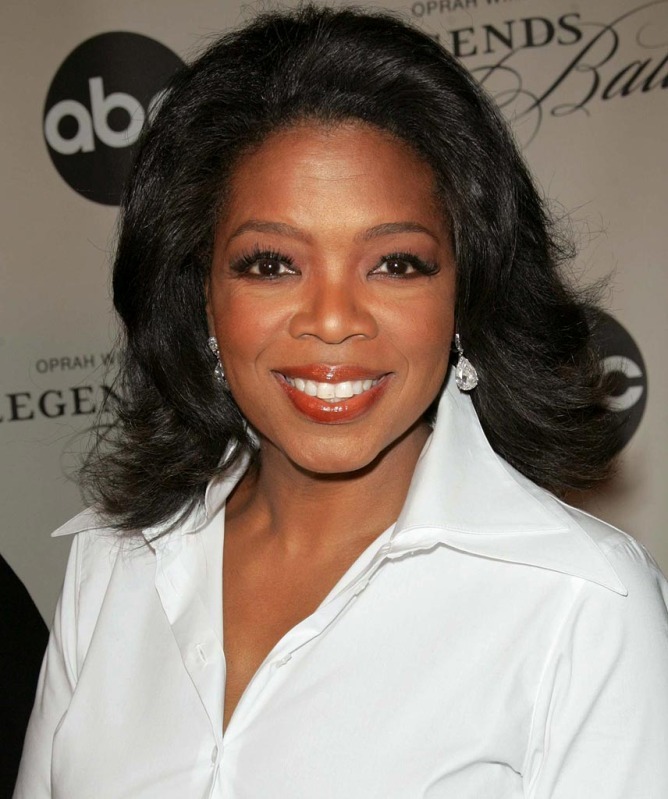 Is Oprah Winfrey’s announcement changing your life or your own paradigm of success in any way? Oprah, are you training your replacement? Who will step into your shoes to fill this invaluable role for those who also serve? No matter what the future holds, we thank you for what you have done to elevate service to others above screaming matches! done; you are just moving on to your next phase.